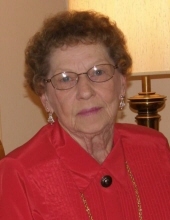 Doris Ann Torbeck, age 85, of Mattoon passed away at 5:44 A.M. on Wednesday, November 14, 2018 at Sarah Bush Lincoln Health Center. Funeral Services honoring her life will begin at 11:00 A.M. on Friday, November 16, 2018 at Schilling Funeral Home, 1301 Charleston Avenue, Mattoon, IL with Reverend Brad Brown officiating. Burial will follow at Dodge Grove Cemetery. Visitation for family and friends will be held from 10:00 A.M. until time of service at Schilling Funeral Home. Casual attire is welcomed. Doris was born on June 29, 1933 in Mt. Vernon, IL the daughter of Valentine and Freida (Marlow) Allen. Survivors include her son, Roscoe “Rocky” (Carla Jane) Coffey of Lewisville, TX; daughter, Theresa (Max) Swango of Charleston, IL; grandson, Rocky Nelson (Kate) Coffey. of Granbury, TX; granddaughter, Brandy (Chris) Hunt of Lantana, TX; great grandchildren, Hailey and Gavin; step-granddaughter Dana (Scott) Benge and family; sister Wanda Williamson of Mount Vernon, and several nephews and nieces including a special niece Vicky Burrell. Doris was preceded in death by her parents, brother Charles “Sonny” Allen, former husband and special friend William E. Alvis. Doris worked as a dental assistant for Dr. Aikman for 28 years. She enjoyed line dancing and was a member of the Heartland Line Dancers and The Eagles Club. In her younger years she enjoyed flower gardening. Memorial donations in her honor may be given to the St. Jude’s Children’s Hospital or donors choice. To send flowers or a remembrance gift to the family of Doris Torbeck, please visit our Tribute Store. "Email Address" would like to share the life celebration of Doris Torbeck. Click on the "link" to go to share a favorite memory or leave a condolence message for the family.